Dr Antoine Rogers is the Co-Director of Evidence to Exist Research Group. His main areas of expertise are voluntary sector organisations, sexuality and qualitative research methods. Antoine is a Chicago native; a qualified social worker and a survivor of Chicago’s care system. Antoine’s research leading to his PhD was a comparative analysis of urban voluntary sector organisations in Chicago and Birmingham, UK. Initially Antoine published research related to the impact of state and private funding on voluntary sector organisations. His research also critically reflects on national and local identity and the role of personal experiences as a source of knowledge and understanding. In recent years Antoine’s research interests include the role in which Lesbian Gay Bisexual and Transgendered (LGBT) organisations play in community development and individual identity formation particularly in the context of a civil society with intersectionality at the core. Antoine leads the Urban Scholars Engagement programme at Brunel University. An activist, mentor, ‘man-about-town’ and film buff, Marc Thompson has been involved in advocating for social justice for 25 years, with a focus on Black minority and ethnic communities, sexual health and HIV. He is particularly interested in the intersection of race, sexuality and HIV and the impact it has on individuals and society. Marc has worked with various community based organisations including, GMFA, Big Up, Living Well and Positively UK, where he coordinated their peer mentor programme; training and managing volunteers to provide a range of peer support interventions to people living with HIV. He recently returned to senior leadership at the Terrence Higgins Trust as a Strategic Health Lead. Marc is also a skilled trainer and public speaker at conferences, corporate events, schools, colleges and universities on race and sexuality, sexual health and living with HIV. 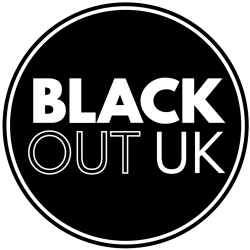 Award-winning busybody, recovering academic and reforming social reformer, Rob is currently leading development ot BlackOutUK. Until recently he was a strategic advisor to the BBC on accountability and audience engagement. Impatient with injustice and exasperated by wasted potential, he volunteers on the boards of Baring Foundation, Doc Society, and the Collaborate Foundation, has previously served on the boards of LGBT rights charity Stonewall, the Equality and Diversity Forum, and been Chair of Naz Project (NPL). He was Director of the racial justice think-tank Runnymede Trust 2009-14. Alongside his academic writing on education, social justice and community organizing, a recently appointed Simon Industrial Fellow at the University of Manchester, he has presented and co-produced short form documentaries, lectured across the UK and beyond, and written for The Guardian and The Independent on social justice and movement-building. His current fixation on forms of collaborative ownership, innovations in media technology and their potential for social justice means that he spends a lot of time staring at his phone and calls it ‘research’. Dr Berkeley was awarded an MBE in 2015 for services to equality.